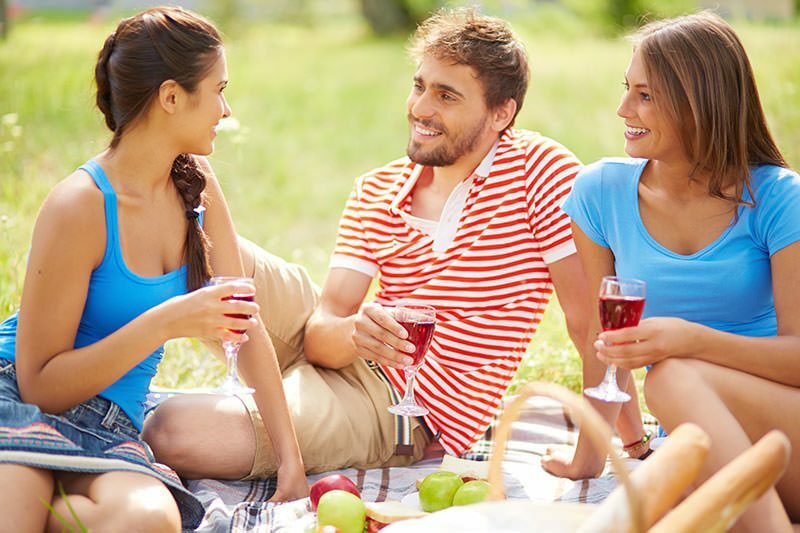 I don’t know about you but I love to be able to take my love out for an easy hike to a scenic location with a picnic backpack on my back and what is a picnic without a good bottle of wine? It’s like there something missing when there’s no wine, don’t you think? 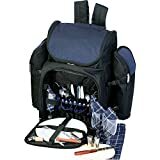 I tried a couple backpacks and now know what works best and think I can help you pick a good one for your next romantic trip to watch the sunset or have a fun lunch with friends. 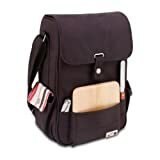 Check out my list of the best wine backpacks for the money right now. 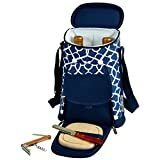 I’ve selected some of the best wine picnic backpacks and talked a bit about each to give you an idea on which one might be suited for your needs. 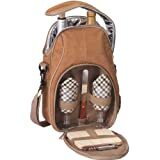 So, check out my top wine backpack reviews below – and remember, these are good gifts for wine lovers as well! If you love wine and cheese as much as I do then you’ll love this. Perfect choice for a date since it is small. It’s leak proof, has thermal insulation for your cheese and wine and it can easily hold 2 bottles of wine. I usually take one bottle and some cheese with me while I go out with it. 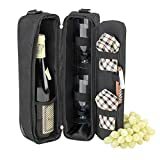 If you want to go all out on wine and take a lot of bottles with you while hiking or going on wine tasting tours/concerts/picnics then this is one of the best ways to carry your bottles. It can carry up to 12 bottle, is insulated and acts as a cooler. The nice thing about this one being insulated means that you can take it out with your for a day in the sun – just keep it in a beach tent so that it stays cool longer. And honestly, how romantic are beach picnics, right?. One problem with this tote is that unfortunately it can’t hold a lot of the most sold wines like Syrah, Chardonnay, Pinot Noir, Champagne, so if you’re a fan of these ones, don’t get this tote. This one has thermal insulation, bottle dividers and is made out of non-pvc materials. Dimensions: 13-3/4-Inch by 10-1/2-Inch by 4-Inch. It includes a hardwood cutting board, cheese knife, corkscrew, etc. With so many added extras, this is a great choice for a quick evening out to watch the sunset with your partner. It is also a very slim and compact wine backpack. 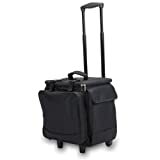 This one is for the serious wine backpacker. 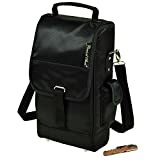 If you are thinking of going on a picnic with some friends then this is the perfect backpack for this trip. It has a lot of room for bottles, cheese and even food if you want to take some with you. The leak-proof liner can hold ice packs or ice. 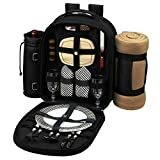 It also has a great price, making it one of our picks for the best wine backpack for the money right now. This one is great because it has an entire picnic set included, space for food and wine and a special compartment for a blanket. So, you can wine and dine and then take some time to do a little cuddling under the stars or watch the clouds roll on by. Perfect for going on a romantic picnic! If you like the look of this one, know that it can hold 2 bottles, 2 glasses, a cutting board and some cheese. So, that is pretty much all you need for a nice picnic lunch, right? Plus, this backpack actually looks cool and expensive, which might impress your data. It also fits almost all 750ml wine bottles. I really love the look of this wine shoulder tote – it has 2 compartments for wine and looks very sophisticated. 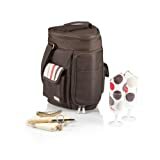 The cool looking wine backpack is insulated and can accommodate beers, ice packs or even food. 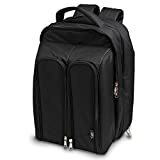 For what it can hold the price is really a great value, which makes it one of the best value wine backpacks for the money right now. Did you find something you like? I’m certain that at least one of these wine picnic backpacks will be to your liking if not all. Have a look, compare them and pick the one that is right for your needs.